The immune system as well as tissue development may be influenced by vitamin C which is a nice antioxidant, and has many functions to perform. The high potentiality additive is specially developed to release Vitamin C in our systems of an organism within the day. 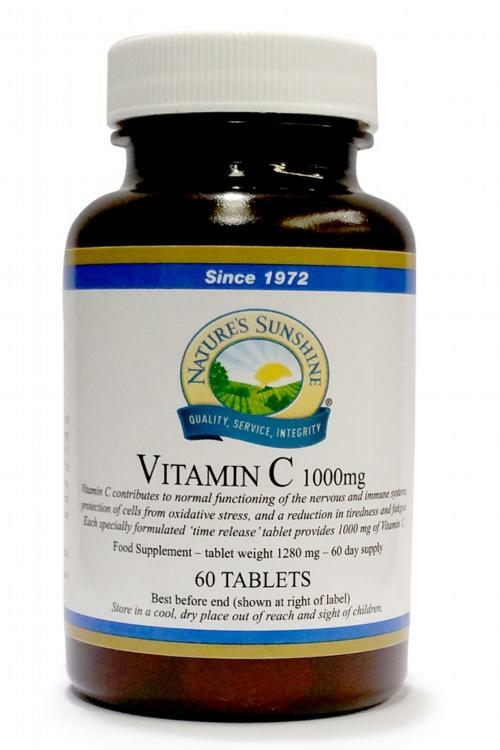 Vitamin C, time-release allows to use more effectively this vitamin slowly letting out it in a body. Each pill is developed with a special covering in order to release its contents only after intestines achievement. It is specially developed product mixes 1,000mg vitamin C in a base of rose hips extract, acerola extract, rutin, lemon bioflavonoids and hesperidin complex derived from natural sources. This product does not contain any sugar, starch, artificial colourings or flavourings. 60 pills in a bottle.